The New Jersey Commission on Higher Education's Educational Opportunity Fund (EOF) has presented Mercer County Community College (MCCC) Assistant Professor Donna Richardson-Hall with the "EOF Champion" award for 2004. The program helps make college possible for financially and educationally disadvantaged students who are capable and motivated but lack adequate preparation for college study. According to Dr. Khalida Haqq, who directs Mercer’s EOF program, Richardson-Hall developed the curriculum for a "Linked Courses Community Model" program, advocated for the new model and chaired a committee of faculty and staff to develop and promote the project. Currently she teaches the reading component of that program. She is also co-advisor to the EOF club and serves as an advisor and mentor to EOF students. "I'm so impressed by Donna's passion and commitment to educating students," Haqq said. "She embodies the essence of the EOF Champion." 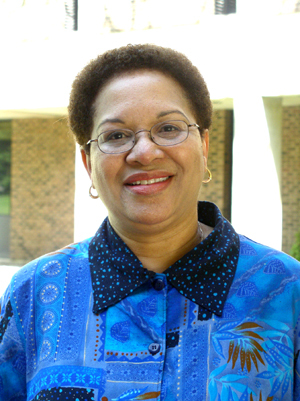 Richardson-Hall has been a member of Mercer's English department since 1988. She earned her B.S. at Penn State University and her M.S. from Purdue University. She is currently pursuing a doctorate of Higher Education Leadership from Nova Southeastern University. According to the commission, an EOF Champion has earned the respect and admiration of the college's EOF director, staff and students by demonstrating dedication, advocacy, outspoken support and general commitment to the spirit and intent of the program, and who has given years of participation with EOF students above and beyond regular work responsibilities. In addition to receiving financial aid, EOF students are given individual and group counseling, academic advising, tutoring, and leadership training. A summer enrichment program helps first-time students adjust to the academic and social demands of college. For additional information, e-mail haqqk@mccc.edu or call 609-586-4800, ext. 3423.